A case of Prosecco on us! Well here we are, half way through the first week of our Advent Calendar promotion, we hope you are all enjoying taking part and good luck if you haven’t been one of our lucky winners so far. Remember we have fantastic prizes to win every day between now and Christmas eve so keep your eyes peeled! 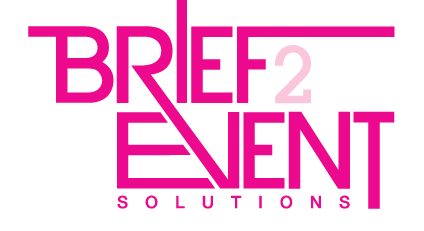 Today we’re taking the opportunity to tell you a little bit about us and the range of services we offer here at Brief2Event. Established in 2005 by our MD Guy Mason, we are a team of 15 experienced event professionals who love venues, events and saving our clients valuable time and money. Created with personal service at our heart, the team really go the extra mile to take the hard work out of sourcing venues, booking hotels and delivering events. We blend the latest advances in technology with good old-fashioned customer service and offline solutions to create bespoke services that work for you. We can help you with any of the following… and more! Let us be your secret weapon in delivering amazing meetings, conferences and events we guarantee you won’t be disappointed! We would love to find to out how we can help you and your organisation deliver successful events, contact us today on T: 01202 400850 or click here to get in touch.